If you can "see your thinking", you will be closer to creative ideas. 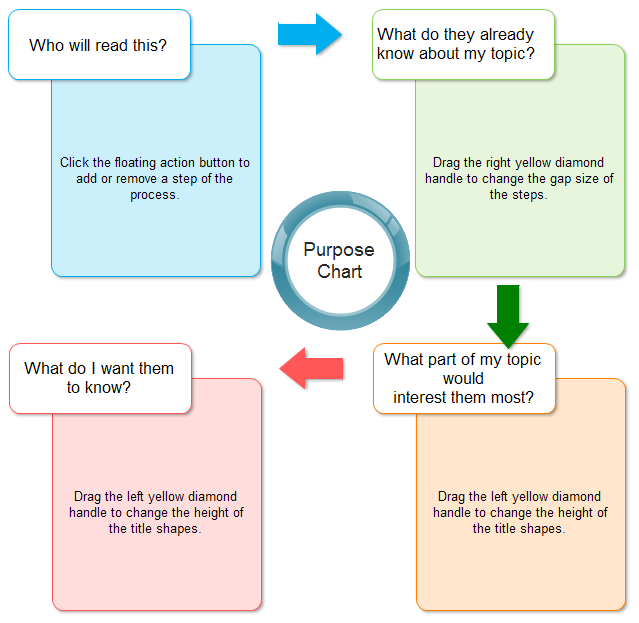 Here you will get an assortment of ideas, tools and graphic organizers to boost your creativity. 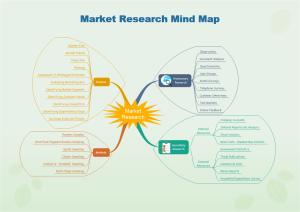 Mind Map: Map and clarify ideas in a nonlinear way, presenting relationship between ideas. 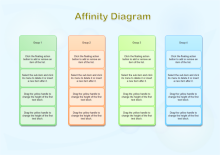 Affinity Diagram: Organizes a large number of ideas into their natural relationships. 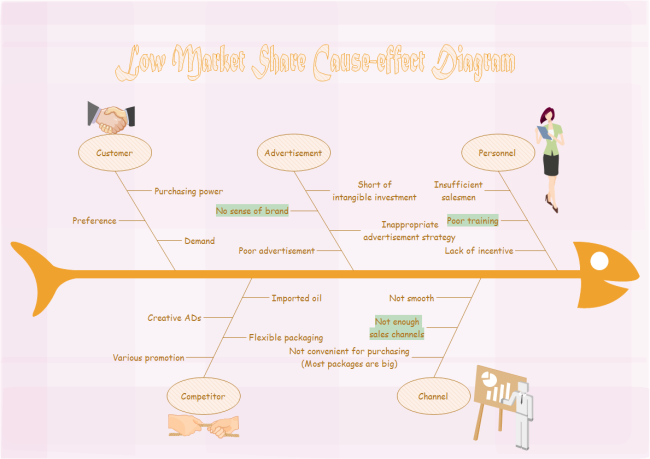 Fishbone Diagram: Figure out causes for a result from many perspective in a schematic diagram looking like fishbone. Data-driven Infographics: Dig out insights from statistics analyzed and presented visually in shapes, lines or tables and so on. Benchmarking: A structured analytical tool for comparing your organization's work practices to the best similar practices you can identify in other organizations, and then incorporating the best ideas into your own processes. Brainstorming: A method for generating a large number of creative ideas in a short period of time. Nominal Group Technique: A structured method for group brainstorming that encourages contributions from everyone. 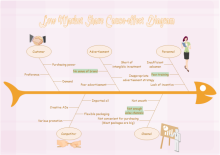 All of the above tools can be gained in Edraw - a miraculous diagram software. It is featured by usability and characteristic, providing users with cross-program seamless compatible flow experience. See some sample visuals first. 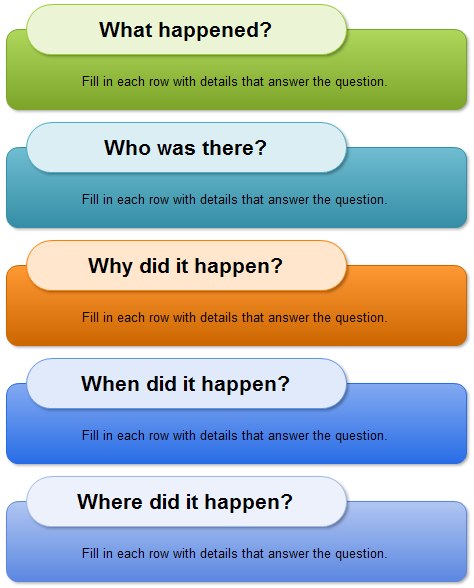 Listed above are only a small part of the graphic organizers that Edraw can produce. You can obtain a lot more from it. 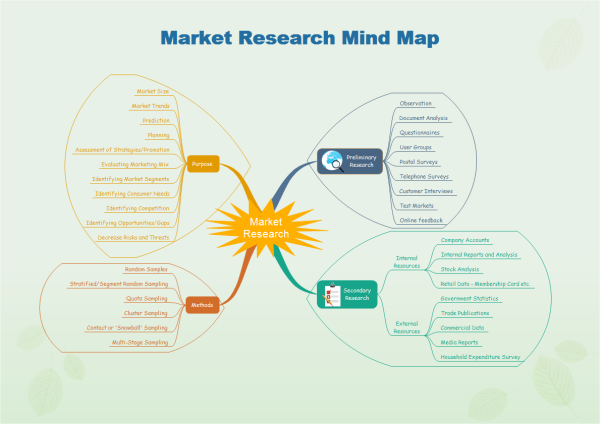 Edraw is an diagram technology software which provides various visual thinking and learning products for education and business markets. 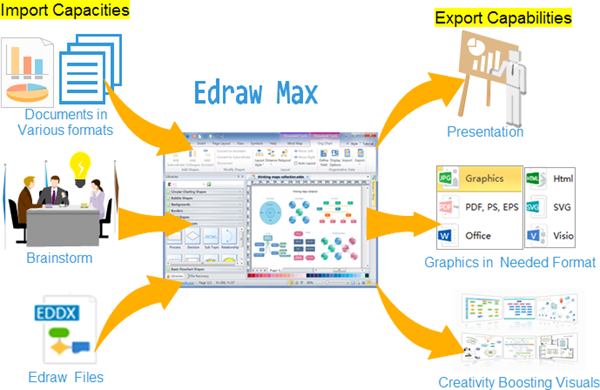 Edraw - a revolutionary product is changing the diagramming experience, and an increasing number of schools and companies are taking advantage of the cost savings and efficiency that this product offers. It is a new drawing software with lots of examples and templates, supporting to draw diversified visuals to inspire creativity. 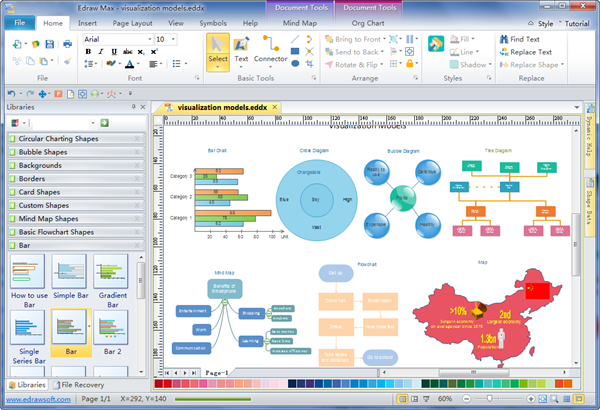 Edraw's drag-and-drop interface combines Smart Shapes technology, which means that if someone can use a mouse, he can produce professional-quality graphic organizers. Edraw's ease of use means even first-time users are productive instantly, and experienced users find it professional and powerful. These features result in increased employee productivity. Ideas are mapped and visualized more quickly and accurately, bringing more room for creativity. The app's easy copy-and-paste and data import functions allow users to input information more easily. The drag-and-drop drawing tool has greatly simplified the design process. Once a drawing is created, it must be distributed to the people who need to use it. Edraw is built to work easily with other programs.